This morning, I received an e-mail from Jeffery Pilcher, the esteemed Mexican food historian. He was curious about the Korean taco phenomenon in the US, which started in late 2008 with Roy Choi’s Kogi Truck. I was so thrilled that he reached out to me because I’ve been following Dr. Pilcher’s work since I was in college. One of my favorite food articles of all time is his piece titled “Industrial Tortillas and Folkloric Pepsi: The Nutritional Consequences of Hybrid Cuisines in Mexico” published in Food Nations: Selling Taste in Consumer Societies (2003). In this article, he discusses the neoliberal market forces that transformed consumption practices and national identity in Mexico. He shows how globalization leads to hybrid cuisines with the incorporation of new ingredients and food processing techniques. Once I wrote Dr. Pilcher with my initial thoughts regarding Korean tacos, I began thinking about the different dishes that have become more mainstream in the US in recent years. Korean Fried Chicken (KFC) and bibimbap instantly came to mind. I’ll post more on each throughout the week but I first want to share my most recent Korean fusion meal. 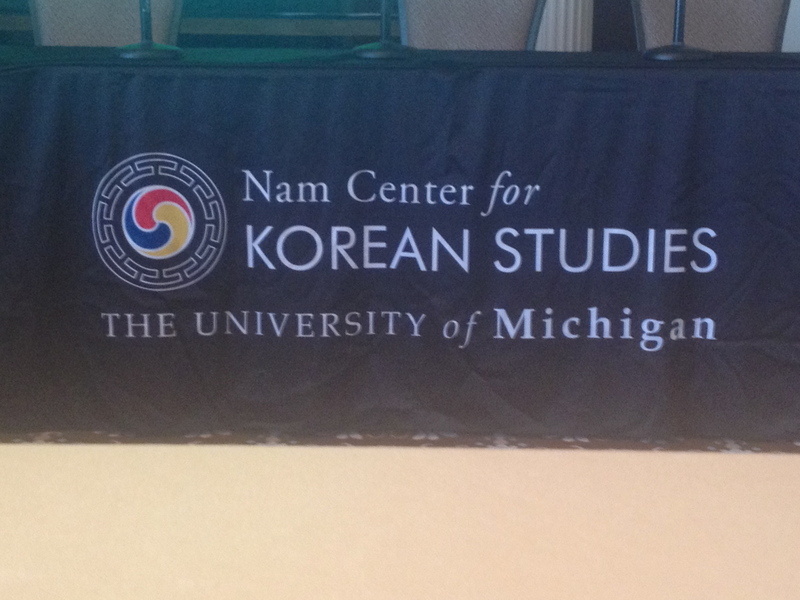 I was at University of Michigan last weekend for a conference for next generation Korean Studies scholars. I was on a panel titled:”Production of Nation” and presented on my research on gastro-nationalism and plastic food models in Korea. I was the last person to go before lunch, which might have led to torturing the audience. I showed various photos of fake food models to explain their diverse social functions in promoting gastro-nationalism. Many told me over lunch that looking at my photos made them very hungry. 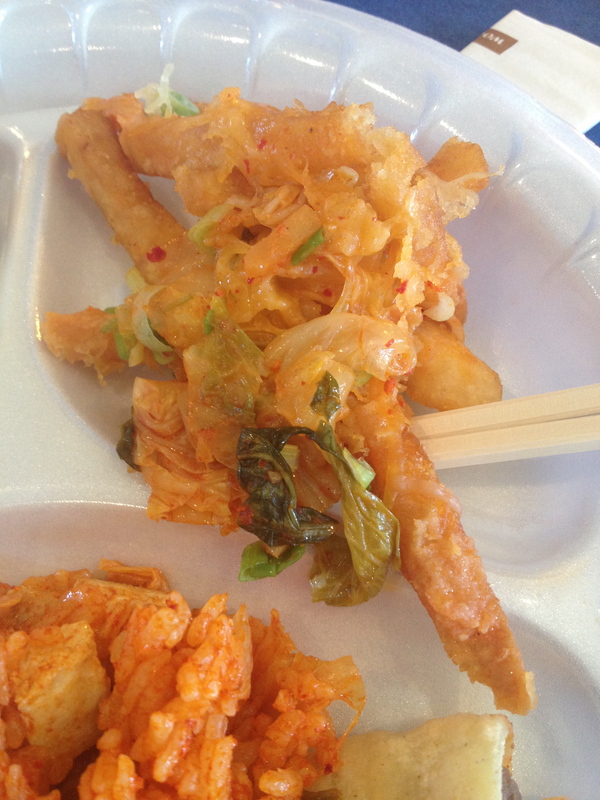 New discovery: Kimchi cheese fries! As a faithful anthropologist, I closely observed others while they ate. The group was divided largely into two camps about the food. 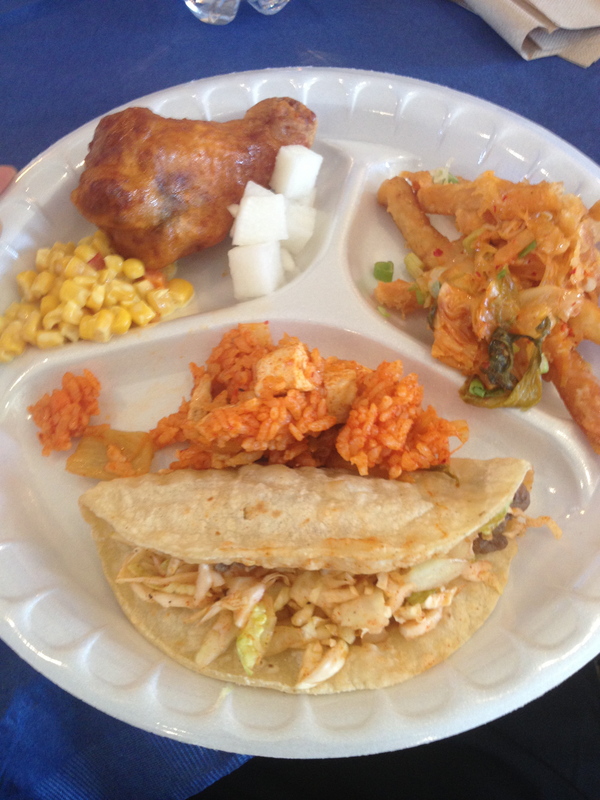 The Korean scholars from Seoul National University generally commented that they did not consider this “real” Korean food but were tickled by the mexican fusion twist. 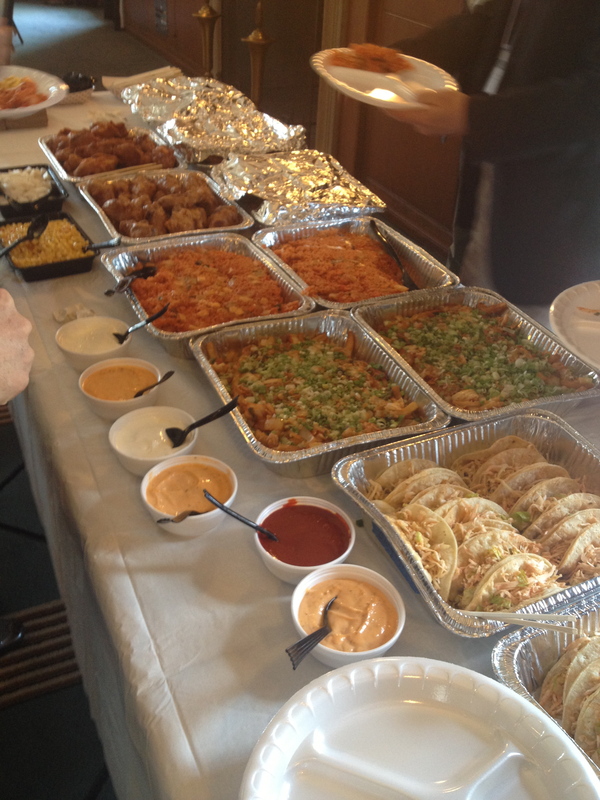 The scholars based in the US were more comfortable with the hybrid/Americanized food and talked about how much they love Korean tacos. 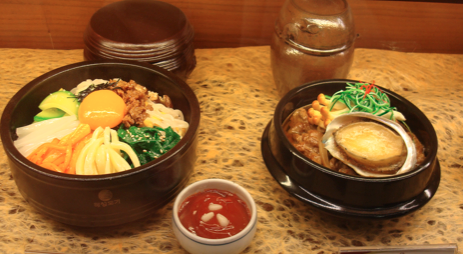 The Korean scholars told me that they were finding it difficult to eat bread and non-Korean foods at every meal. I made sure to pass the kimchi to them during dinner at a more conventional Korean bbq restaurant. Can Korean tacos be successfully exported to Korea? How can this American fad be translated into Korean culinary culture? What will be the process of naturalization for it to be accepted as Korean? Do you know of any places in Korea that serve Korean tacos? I’ll report back in a few months once I’m there!